Whether you’re jetting off for an action-packed adventure with the kids or taking the grandparents for an all-expenses paid cruise, finding the right travel insurance for you and your loved ones is always high priority when planning a family holiday. If you’re travelling abroad as a family, it makes sense to take out a single policy that covers you all, rather than four or five. Just think of the time, effort and money you’ll save by taking out just one plan! If a loved-one gets sick abroad and needs medical attention, it’s a huge relief to fknow that they’ll be covered. And knowing that you’ll still have plenty of spending money if you’re forced to fork out for unforeseen costs? Well that’s bound to help you relax. 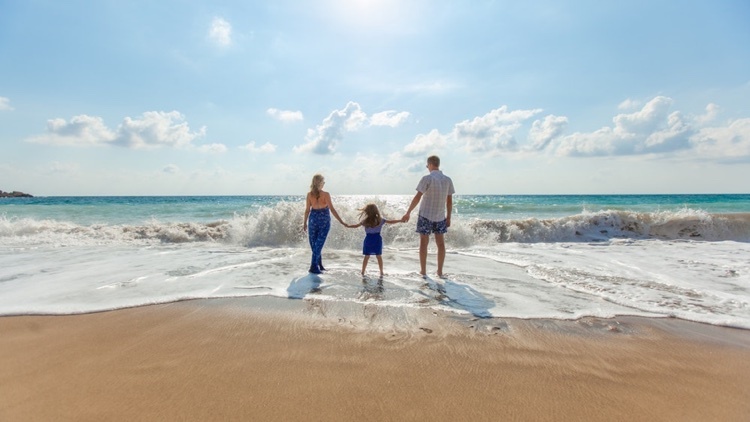 Our family travel insurance is ideal for families big and small; let us take the hassle out of your holiday so that you can enjoy your time together. If you and your family go on holiday together regularly throughout the year, an Annual Multi-Trip policy is your best option in terms of convenience and value for money. What’s covered with our travel insurance for families? Whatever plan you pick, we’ve taken care of the necessities. From our low-cost Economy Plan to our premium Diamond Plan, we’ll ensure every member of your family member is cared for. As well as covering overseas medical or dental costs, we can pay out in the event of unforeseen disruptions to your holiday. Our 14-day cooling off period also means that you’re guaranteed to get your money back should you wish to cancel your policy. Providing that you haven’t already made a claim or started your trip in that time, you’re guaranteed to get a full refund. We also offer 24-hour emergency assistance; wherever you are in the world – or whatever the time – you’ll be able to talk to a member of our team for support. So, whether you’ve lost your password or need help accessing medical care, we’ll be there to offer our expert advice. Make sure you read through our travel insurance guide for a better idea of what each of our policies includes. Whether travelling with thrill-seeking teens or leading a group of little monkeys, finding things to do that everyone will enjoy on a family holiday can be daunting. Fortunately, our policies cover a wide range of activities, from low-impact leisure experiences to once in a lifetime opportunities, meaning you’re never stuck for ideas. Review our guide for a full breakdown of the activities we cover. Our Gold and Diamond Plans cover you for the more extreme activities, such as skydiving, sea kayaking and paragliding. Can I get a quote for me and my family? A breakdown of our policies will then appear (based on your details), along with a price comparison of each. Finding travel insurance for you and your family couldn’t be simpler.